The South Korean national football team and head coach Paulo Bento will be forced to deal with challenges on both sides of the ball in upcoming matches as his team will be playing without two core players. Bento will announce his roster for the November friendly matches on Monday. South Korea are scheduled to face Australia on Nov. 17 and Uzbekistan on Nov. 20. Both matches will be in Brisbane, Australia. The two friendlies are tune-ups for the 2019 Asian Football Confederation Asian Cup in the United Arab Emirates. But South Korea will be without Son Heung-min and Jang Hyun-soo for the two friendlies, as well as for some matches at the AFC Asian Cup, meaning Bento has to come up with alternative plans for the national team. Son, arguably the best South Korean player in recent years, will not play in Australia following an agreement between the Korea Football Association and his English Premier League club Tottenham Hotspur. The two sides previously agreed not to release Son for the November friendlies and the first two matches at the AFC Asian Cup in a trade off for the player's participation at the 18th Asian Games in Indonesia, where South Korea eventually won a gold medal. Jang, a versatile defender at FC Tokyo, was forced to end his national team career after he was caught doctoring his community service records. The KFA on Friday handed the 27-year-old a lifetime ban from the national team for his misconduct. The KFA said that it notified Bento of Jang's punishment. Son and Jang have been core members for the national football team. Son spearheaded South Korea's attack at the 2018 FIFA World Cup, scoring two of the team's three goals at football's showpiece tournament. 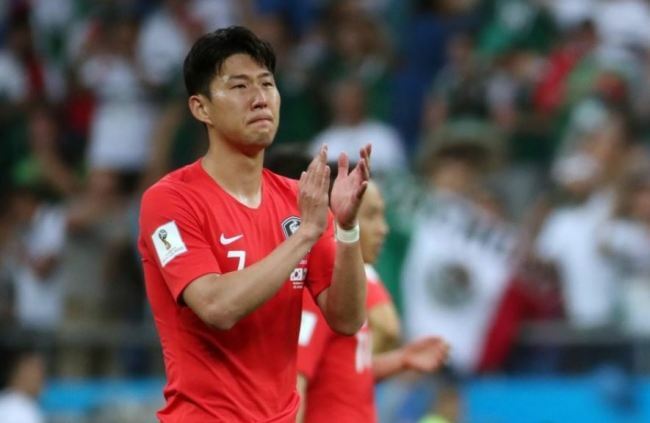 Jang made the most national team appearances of any South Korean player in 2016 and 2017 and also played full time in South Korea's three group stage matches at the 2018 World Cup in Russia. The two players remained core members even after Bento took the helm in August. Son, wearing captain's armband, started in all four of South Korea's friendly matches under Bento. Jang also featured in the four friendly games, playing full time in three of them. Under Bento, Son was substituted only once. 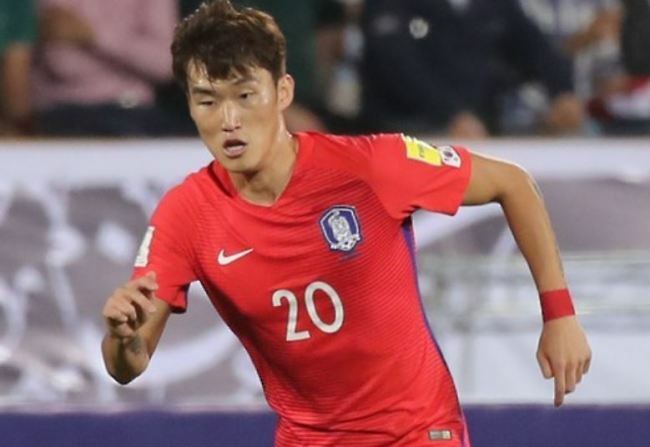 In South Korea's 2-0 win over Costa Rica, the Tottenham forward was replaced by Lee Seung-woo in the 83rd minute. Son has yet to score a goal under Bento -- he's missed two penalty kicks -- but he has been leading the team's offense. Bento has been emphasizing quick transitions in the game, and Son, known for his pace and penetration, was a point man executing the Portuguese coach's tactics on the pitch. To fill the void left by Son, Bento is likely to test attackers who were called up in recent friendlies. Moon Seon-min and Lee Seung-woo may get the nod, but Lee Jae-sung, who missed the October friendlies due to injury, is also a candidate for Son's spot. Jang has been Bento's first-choice center back along with Kim Young-gwon, the two defenders performing together at the 2018 World Cup. Bento has embraced the 27-year-old defender even though he was criticized by fans for making critical mistakes during the game. Bento said Jang is "a player whose quality is above average," and is "a player who needs special care and protection." Through friendly matches, Jang, who can also play as a right back or a defensive midfielder, showed that he is an essential member in the team's build-up process from the back, along with midfielder Ki Sung-yueng. But since Jang is permanently banned from the national team, Bento needs to find a long-lasting solution to keep up the team's center defense. In South Korea's 2-2 draw with Panama, Bento started Kim Min-jae instead of Jang, and the 21-year-old appears to be a strongcandidate to partner Kim Young-gwon. Kim Min-jae, who plays for South Korean league champions Jeonbuk Hyundai Motors, has been considered the future of the national team's defense. He was certain to play in the 2018 World Cup but was dropped from the final roster due to injury. If Kim is not enough, Bento could test Jung Seung-hyun, a center back at Kashima Antlers who recently helped the Japanese club's progression to the AFC Champions League final, and probably Park Ji-soo, a potentially surprising pick from Gyeongnam FC who has yet to make his international debut.